Even though your enemies will try to pursue you, they will never find you because The Lord God Almighty is with you. If only we knew the power working within us, if only we knew how great our God is then there would be no excuse for us to fear. We’re an army rising up! If only you knew the angels that God Himself has sent to protect you. Brethren, we must pray for God to open our spiritual eyes. Remember we are dead to the flesh, but we are alive in Christ. Therefore, we must pray to see what God sees, and we must pray to hear what God hears. The young man was afraid, because he could not see but Elisha he had an encounter with God he knew God and that is why he was not afraid. We must pray for encounters, before we receive His power we must first have an encounter with The Lord. I can not expect to see more of God if I have not first yielded myself to the perfect will of God. Think about what it is that you are seeing physically that just seems to be bothering you so much. Brethren, pray to God to open the eyes of your heart so that you can receive His power and love. We must have a desire to see the fullness of God. Elisha prayed, and God answered what makes you think that God won’t do the same for you? God answers the prayer of the righteous. God is not a respecter of persons, age, status, pedigree, culture, you name it all that does not matter to God. Those things cannot guarantee you a place in heaven, titles do not give you an all access pass to see God. What God sees is the heart, and He manifests His presence amongst the humble. The Lord will fight against those who fight against you. The Lord shall come as a fire in the midst of your enemies, and He shall consume them. When the presence of The Lord comes down He does not come down ordinarily, but extraordinarily. He brings the super to the natural. 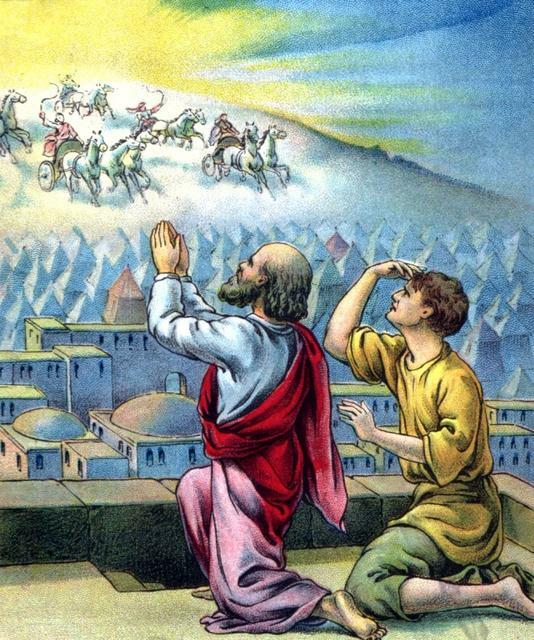 They came with their horses and chariots against Elisha, but God came with horses and chariots of Fire! Pray to witness the presence of God, to dwell in His glory, and to be filled with His fire. If someone was to ask me how do I know that the Lord is faithful? If we really humble ourselves, to the point where we are so much in need of our Heavenly Father like an innocent baby is in need of their parents, I believe only then will we see more of God. 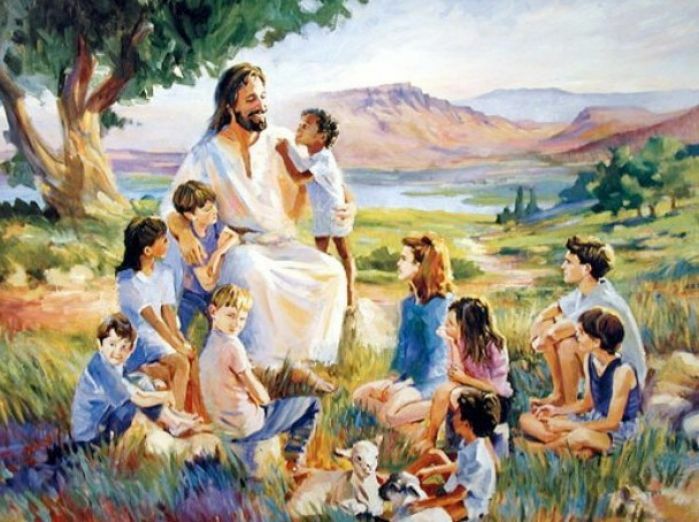 We must become like little children in the presence of God. Humility is the key to receiving eternal life through Jesus Christ. Pride is the key to receiving eternal damnation through satan. Free will comes from God, even though He created you. If we are adamant on living a life in doubt, then we will never see the goodness of God. 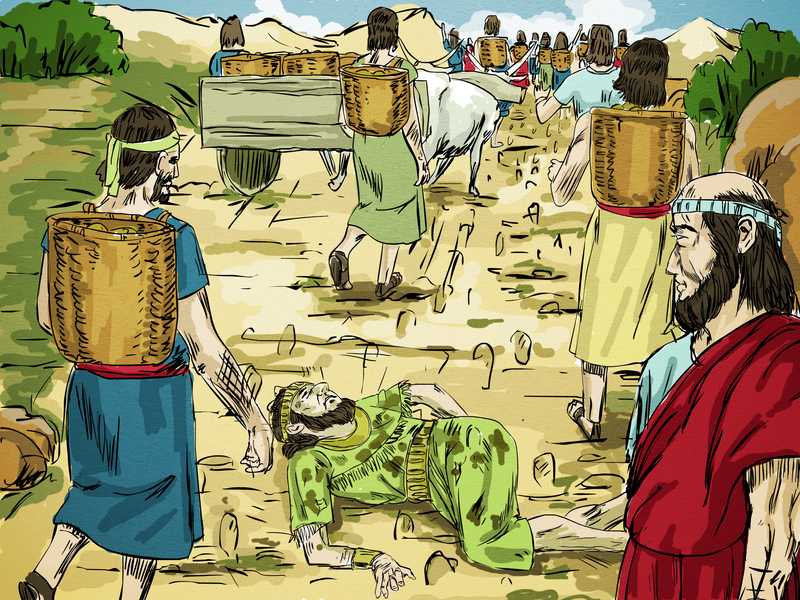 Wow, take note that Samaria was in a time of famine. but the officer doubted and because of this he saw the goodness of God, but he never tasted of it. God has declared His promises in our lives, but yet we still doubt. Why do we often forget what The Lord has already done in our lives? It’s sad that we often focus on the now rather than the promises of God. And that is a harsh punishment you know, to see food in the midst of famine but yet unable to eat of it imagine the torture. God is more than able to turn the impossible to possible, He is more than able to turn any and every situation around. We just need to trust Him more, brethren He is more than able to open up the windows of heaven and pour out blessings for you. You just need to be patient and pray for God to open your spiritual eyes so that you can see what He sees. Believers, our future is bright because it has been established in JESUS Christ. You need to get rid of this enemy called doubt, and just make a decision to trust the good thing that God has said concerning you. Jesus is the light of the world, and His light shines through us for all the world to see. When we doubt we are unable to make decisions, we are unstable. 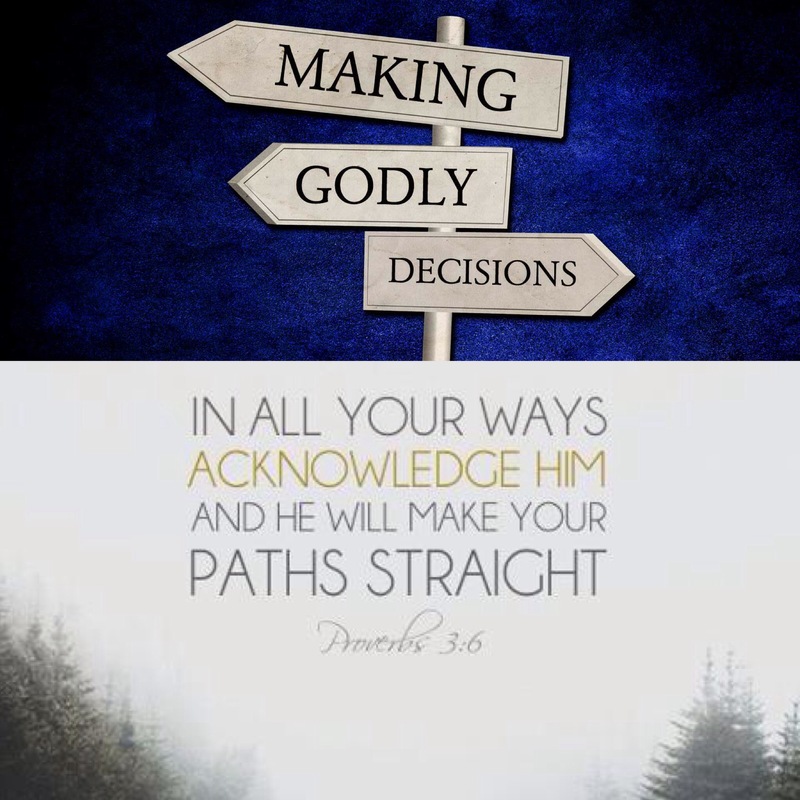 It’s difficult to make decisions without God, and that is why we must involve God in every area of our lives. That is why it is also very important to be in God’s perfect will, don’t resist Him just trust Him. And because I know that it is never too late with God, I am encouraged and I am progressing in faith with God by my side. And with God by my side how can I fail. but I have learnt and I have realised, that in this life it is always best to listen to God. The officer that doubted God’s Word placed himself in stagnation, because he didn’t believe God’s Word could be possible. As Christians we must believe that The Word of God is possible. Doubting God is a never ending cycle of never getting to where The Lord has destined for you to be. Doubting God leads to procrastination, which leads to frustration, which leads to stagnation, and the final destination is destruction. You see doubt just spirals out of our control and into the control of satan, that is why we must place everything in the Hands of God. God must take full control of our lives. And let me tell you something if God does not have control over your life, then best believe satan does. Here is another example of how doubt causes delay. We must silence the voice of doubt which is the voice of the enemy, and believe that The Word of God will be established in His own time. I pray that God will help us in regards to decision making. I pray that we will make decisions based on God’s Word, and not based out of frustration, the word of man, fear, or doubt. We do not have to allow our current situations to make decisions for us. That should not be our focus. Our focus should be based upon the faith that we have in God. Focusing on God is what gives us determination, and the strength to not only persevere but to also endure and overcome all things. Believers, these were leprous men they were excommunicated because of their disease. Yet they were tired of remaining stagnant. Have you ever gotten to a place where enough is enough?! You’re just tired of being afraid, tired of not progressing? Well then it is time for you to pluck up some courage and walk in boldness. The four lepers got up, they decided not to sit in self pity anymore because self pity produced no results. They made a decision based on faith, and that decision produced results because brethren, there was no one there to pursue not attack them! Honestly, why do we worry? Oh Lord forgive us for worrying. God says that we must work out our faith with fear and trembling for a reason. With God there’s no such thing as comfortable, best believe with God you will be pushed beyond your limits because God is limitless. When we trust God things because so much easier, if you do not believe me then at least believe what He has already declared in His Word. Believers if we desire to see the fullness of God, if we desire to see results then we must make decisions based upon The Word of God. “Then they said to one another, “We are not doing right. This day is a day of good news, and we remain silent. 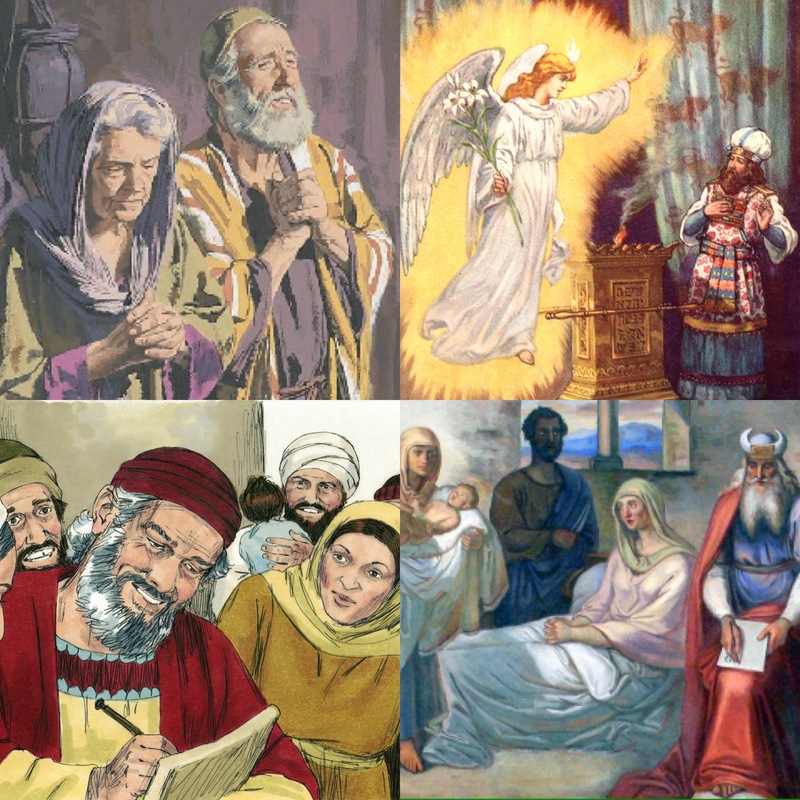 These four lepers were not only wise, but they were also honest. When we involve God in the decisions that we make we will not be selfish, and we will not be pretentious. Finally, often we are unaware that most of the decisions we make have a great affect on others whether positively or negatively. 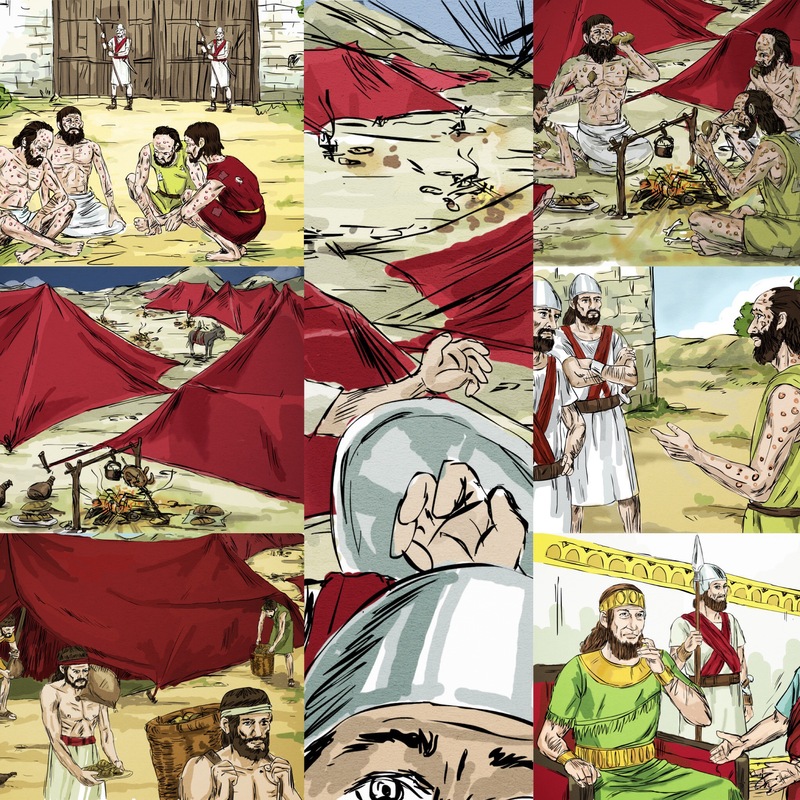 The four lepers had no idea that the army of The Lord was with Elisha, yet they still made a decision to step out in faith, and that decision caused others to know what The Lord had done! Listen, your decisions shall create testimonies for you in Jesus Name! Please, do not be discouraged embrace the season in which you are in, pray to see what God sees, and make a decision to trust God always. It is never too late to trust God, and remember that with God no wrong decisions can be made. There should always be a purpose to the decisions we make. I pray in The Mighty Name of Jesus that we shall never make meaningless decisions. Jesus, Jesus how I trust You and how I’ve proved you over and over! There are so many scriptures that The Lord is encouraging me with today, but let me encourage you with one more. There is a lady in the bible who was told to leave where she was because there would be a famine, and to return in seven years. Can you now understand the decisions we make are not to glorify ourselves, but to glorify God. 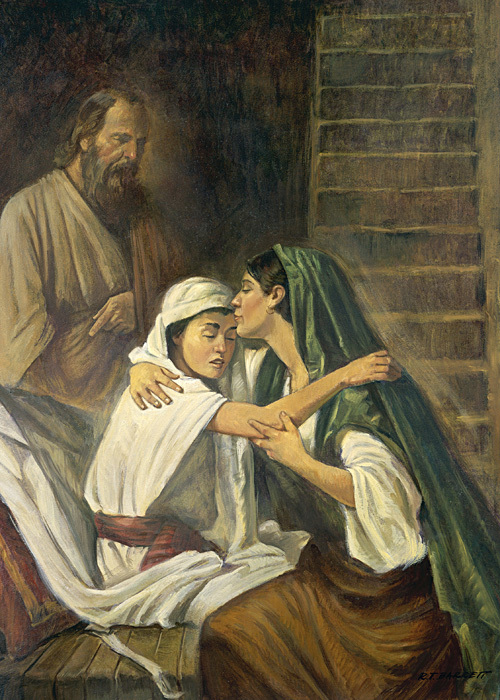 The Shunamite woman could have made the decision to not leave where she was, she could have even interrupted the process by returning before the seventh year but she didn’t she heeded to The Word of God, and because of that God used what He had already done in her life to restore all that she had lost. Jesus is our blessed assurance. Remember there is a time for everything, and God’s time is the best.